Most businesses outsource all kinds of activities, from bookkeeping and accounting, to customer service, to materials supply, to shipping. There are several reasons to outsource. For one, keeping a full-time staff for rarely needed services is an inefficient use of funds. In addition, many companies simply can’t compete for top talent, so it’s easier to outsource to professional firms that can provide needed resources and specialists. 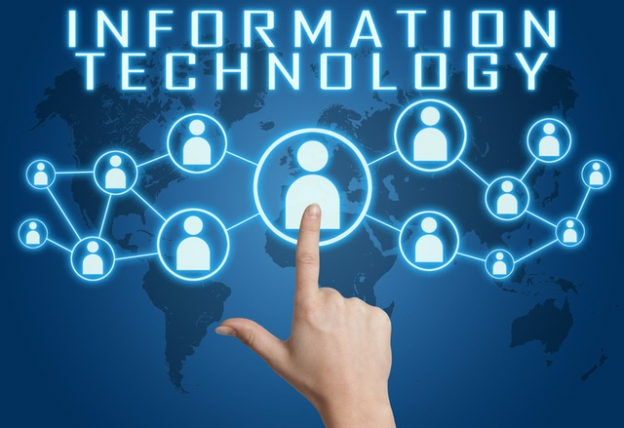 When it comes to information technology (IT), which moves along at breakneck speeds, hiring qualified staff and keeping them trained in the latest advances may simply be beyond the budgetary resources of many companies. So it’s no surprise small businesses and mega-corporations alike have a long history of outsourcing for their technical support needs. Many companies used to try to do everything in-house before outsourcing was a common commodity. These days, there are so many affordable options that companies stand to get more bang for their buck when they seek outside help. Here is a brief history of how IT outsourcing became the common practice we know today. The inception of IT outsourcing cannot be tied down to an exact date, not in the same way that a corporate entity opening its doors can. However, it is generally agreed by industry insiders that IT outsourcing officially began in the 1980s. In 1989, Eastman Kodak struck a deal with IBM. The computer giant was tasked to design, build, and manage a data center on behalf of Kodak. At the time, Kodak is said to have transferred hundreds of their own staffers to IBM’s Integrated Systems Solution Corporation (ISSC). The reason this was seen by many as the birth of IT outsourcing is that it created a revolution of sorts within the corporate world. Up until this point, many corporations would never have considered outsourcing on this scale, preferring to keep necessary services in-house. When a well-known company like Eastman Kodak decided to outsource on this massive scale, other corporate entities took notice. It wasn’t long before many were following suit. As a result, IBM became the dominant IT service provider in the late ’80s and throughout the ’90s. Electronic Data Systems (EDS) was another early pioneer in IT outsourcing. However, the company took a different tack than IBM by providing IT services without being linked to a hardware manufacturer. The company entered many lucrative, long-term contracts for service with topnotch corporations by taking the angle of solving business problems through IT outsourcing, rather than offering support services linked to specific products. As computer networks began to grow in the ’90s and businesses required more software and services, application service providers, or ASPs, moved in to meet demand. These outsourcing options often targeted the needs of a specific industry or business type, or provided a single application that many businesses could use, such as timesheet or payroll services, or credit card processing, just for example. In some cases, the software for these services was downloaded by users, while in other instances (such as PayPal), the service was hosted by a website that users could log onto. Over time, the limited scope of ASPs and the increasing demands for multifunctional service providers would lead to the growth of a new form of IT outsourcing. Over the past several years, managed service providers, or MSPs, have slowly replaced many ASPs as the primary source of IT outsourcing. They provide users with fully integrated systems, computer security, off-site backup, cloud functionality, and maintenance and monitoring options. It’s the total package that many modern companies are seeking with affordable pricing options and scalability to meet the needs of businesses large and small. These days, businesses expect more services than they did in the past where IT outsourcing is concerned. Companies are no longer seeking a data center to store their files – that’s what the cloud is for. They no longer want individual software applications – they want integration. Plus, they want an entire team of IT specialists at their beck and call. Modern businesses are looking for long-term IT partners who can handle all of their outsourcing needs with efficient, secure, and affordable services. They want all the benefits of an in-house IT department without actually having to staff one. MSPs are currently filling this role, and with many moving into cloud services and remote maintenance, monitoring, and security, the future of IT outsourcing is once again changing to meet the wants and needs of corporate customers.